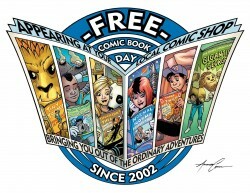 Saturday May 2 is Free Comic Book Day, and several local and regional comic book shops are participating. 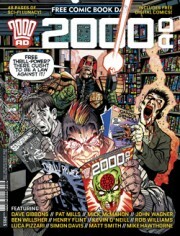 This is the day each year when comic book shops give out promotional comics from dozens of different publishers. Most stores have a limit of one or two books per customer, but it’s still a great way to sample new comics. Marvel and DC participate, even though that usually means they’re just plugging their latest incomprehensible company-wide corporate “event.” But there’s plenty of quality material from other publishers. Fans of television cartoons will find comics from The Simpsons, Bob’s Burgers, SpongeBob Squarepants, Sonic, Pokemon, Teen Titans Go! 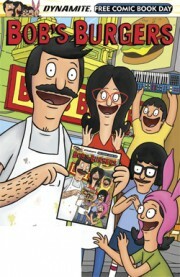 and the Boom Comics 10th anniversary book, which includes Adventure Time, Regular Show, Peanuts and Garfield. Some comic book companies will give away samplers that have a few pages from many titles. 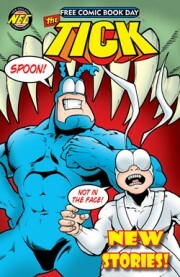 You’ll find this approach from Dark Horse, Aspen, Valiant and legendary Comics along with a few new indie publishers. 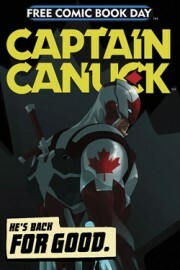 Returning favorite heroes include The Tick, The Phantom, Street Fighter, Savage Dragon and Captain Canuck. There will also be a ton of free books introducing new characters. You can find a full list of the “Gold” books HERE. Smaller publishers may release other freebies that won’t be in as wide release, but you ought to be able to find all of these books at your local shop. Speaking of which, I can confirm that Lost Legion Comics and Games: The Rifleman, on D Street in South Charleston will be participating. Also, a new shop in Danville, Spoiler Warner Games and Comics is celebrating their first Free Comic Book Day. will get in on the free comic book act, and in Ashland, Ky, two new shops The Inner Geek in the Ashland Town Center and The Superhero Creamery (2002 29th St,) will participate for the first time. You may want to check with your local shop. Many of them are planning costume contests and other festivities this weekend, so you can plan your trip to enjoy or avoid those things, depending on your personal preference. This is a great way for the comic shops to attract new customers and to remind older comics readers that comics are still a thing. You should get out and enjoy the day. The comics are free and the living is easy.